The presence of Freemasonry in the Red River Settlement may be traced back to John Palmer Bourke who arrived with the second group of settlers in the summer of 1813. He had arrived at York Factory the previous year and, because of their late arrival, had been forced to winter-over at that desolate place until the following spring. He was a survivor of the Seven Oaks Massacre. Following that battle he was arrested by the North West Company on the charge of having participated in the destruction of Fort Gibraltar and taken to Montreal for trial. While there he became a member of Wellington Persevering Lodge No. 20 on the Register of Lower Canada. He died just a few short years prior to the formation of Northern Light Lodge which took place in the fall of 1864. Among the founding members of this Lodge were John Schultz, who was later to become Lieutenant Governor of the Province of Manitoba, A.G.B. Bannatyne, a prominent merchant, and William Inkster. 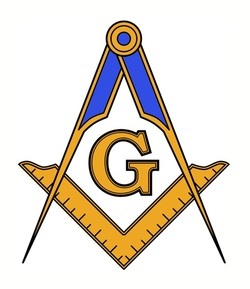 The formation of this Lodge was the beginning of organized Freemasonry in the Red River Settlement and, ultimately, in the prairie provinces of Canada. Today approximately 2,075 Members of the Craft meet in the 43 Lodges spread out throughout Manitoba to practice their ancient ritual, study the symbolic meaning and history of the Craft, and determine ways or means to improve themselves, and contribute to their community. Visit this extremely informative and accurate page for more indepth information about Freemasonry's roots in Manitoba.